Take a look outside…what’s the weather like today? If it’s winter where you are, chances are it’s pretty cold. If it’s summer, our best bet is it’s probably warm. Either way, odds are your core body temperature is right around 98.6° F. As humans, we shiver or sweat when our bodies become too cold or too hot, which keeps our internal temperature steady. Not all species keep their body temperature in such a narrow range as humans do, but almost every animal on the planet has to regulate their body temperature to some degree to survive, including reptiles. Animals can be paired into two groups based on how they regulate their body temperature: Ectotherms and Endotherms. Below, we discuss the differences between these two groups, and further discuss reptile temperature regulation. Endotherms generate most of the heat they need internally. When it’s cold, they increase metabolic heat production to keep their body temperature constant. Because of this, the internal body temperature of an endotherm is independent of the temperature of its environment. Examples of endotherms are humans, bears, penguins, and most other birds and mammals. Reptiles, on the other hand, are ectotherms and their body temperature mainly depends on external heat sources. An ectotherm’s body temperature rises and falls along with the temperatures of the surrounding environment. 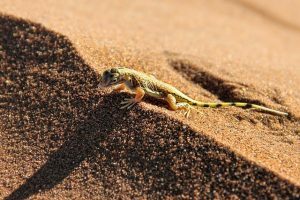 Although ectotherms do produce some metabolic heat – like all living things – ectotherms can’t increase this heat production to maintain a specific internal temperature. Iguanas, geckos, lizards, snakes and most reptiles and fish are ectotherms. You may be wondering; if ectotherms can’t internally regulate their body temperature, then how do they stay warm in the wild? The answer is that ectotherms do indeed regulate their body temperature, just not by internally generating heat. Instead, they use other strategies such as seeking sunshine or shade, and other environments where ambient temperatures meet their needs. The circulatory system of an ectotherm also plays a major role in temperature regulation. The blood travels everywhere in the body, so if the blood is warm, it keeps the cells warm. Ectotherms have their blood vessels close to the skin for quick heat exchange. Most heat exchange occurs in an ectotherm’s extremities, such as its feet or tail. 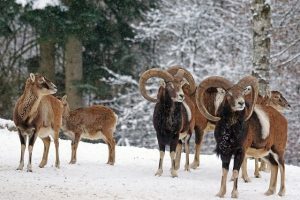 When it’s cold, they can restrict blood flow to those regions and focus on keeping the vital organs warm. As a responsible reptile owner, you need to make sure your pet is warm, especially in the winter time when temperatures dip and power outages are common. Osborne offers reptile heating pads that are ideal for keeping your pet reptile warm and comfortable at home. These fiberglass-reinforced plastic animal heating pads are a safe and economical way to keep your reptiles safe and warm. They are designed to distribute heat evenly across the entire pad, and are durable enough to withstand your pet’s sharp teeth and claws.